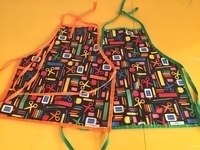 BPA-free Baby Blankets and Aprons by Rain Baby Gear | Shop Now! 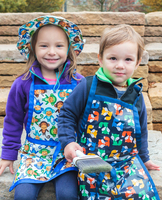 Rain Baby Gear has designed water-resistant baby blankets, kid kitchen/craft aprons, hats, and other accessories prove to be gear that parents will use every day. 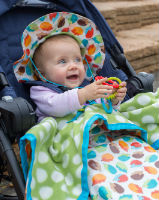 Every Rain Baby Gear product offers weather-proof or wipe-able outside fabric made from laminated cotton: a BPA-free, soft, scrunchable, 100% cotton fabric has a thin, water-resistant layer that is safe for kids. 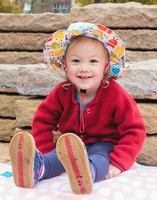 Rain Baby Gear products also come in a great selection of bold-colored, kid-friendly prints. 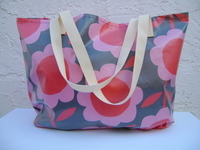 Please remember that every retail partner does not carry every fabric, every size, nor every product. Please call the store first. 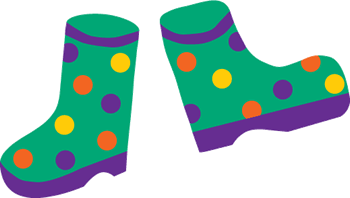 If they do not have the specific item that you want, feel free to shop here on our website.